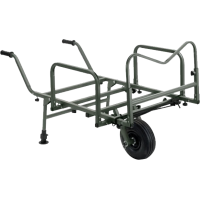 Extra large trolley for ease of use: trolley manufactured in super strong steel with gray-green powder coating, two removable wheels. Additional support in front of the trolley to prevent the material from slipping off + 2 extra supports on the side. Swiveling mud feet in front of the legs for maximum comfort. 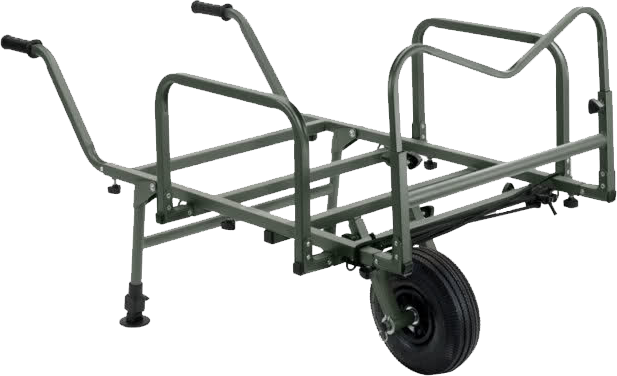 The trolley is easy to fold so that it takes up little space during transport. Delivered with two straps for safe transport of your material.